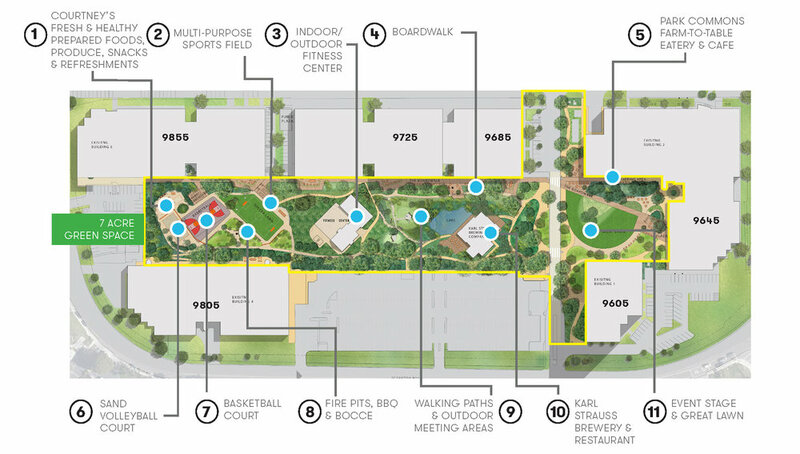 THE PARK is a lifestyle inspired office campus comprised of eleven buildings totaling 655,000 SQ FT with a 7 acre park acting as the heart of the project. 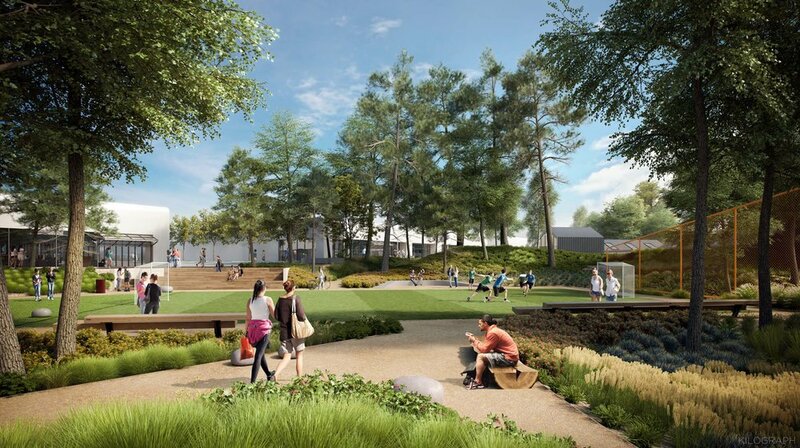 Located within THE PARK is a world class fitness center, sports courts, meditation gardens, walking paths, eateries and gathering spots. THE PARK is designed for companies who value innovation, authenticity, well-being and biophilia. Begin your day with a fresh cup of locally roasted coffee. Boost your heart rate or clear your mind with a spin or yoga class offered in the fitness facility. Take a break from your desk with a stroll through the 7 acre garden, or relax under the shade of an old growth tree. Foster and strengthen relationships over a cold craft beer and appetizers at Karl Strauss. 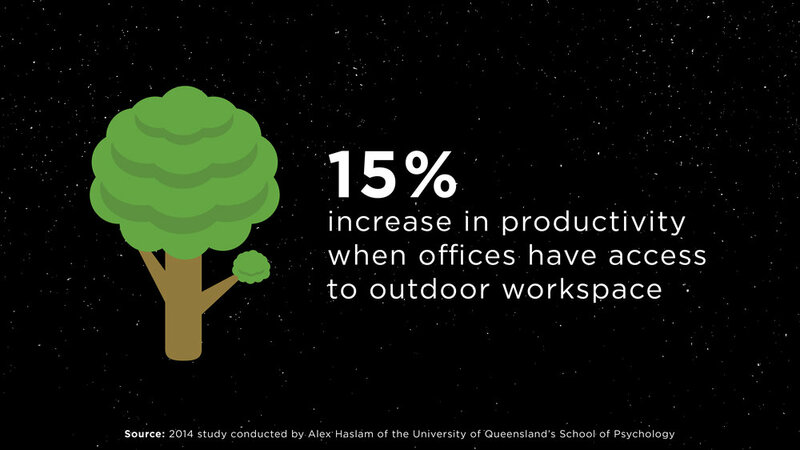 Watch as your workday reinvents itself through THE PARK experience. The great lawn is just steps from your desk. Host group meetings, relax with co-workers and enjoy the sunny year-round climate San Diego has to offer. A new on-site cafe and eatery with health centric food offerings. Lining the 7 acre park is a boardwalk promenade de-signed to promote creative collision through the com-bination of work and natural surroundings. Established with you in mind, the fitness center will offer full time trainers and physical therapists, around the clock cross-fit, aerobic yoga and spin classes, as well as state-of-the-art equipment and spa quality showers and lockers. 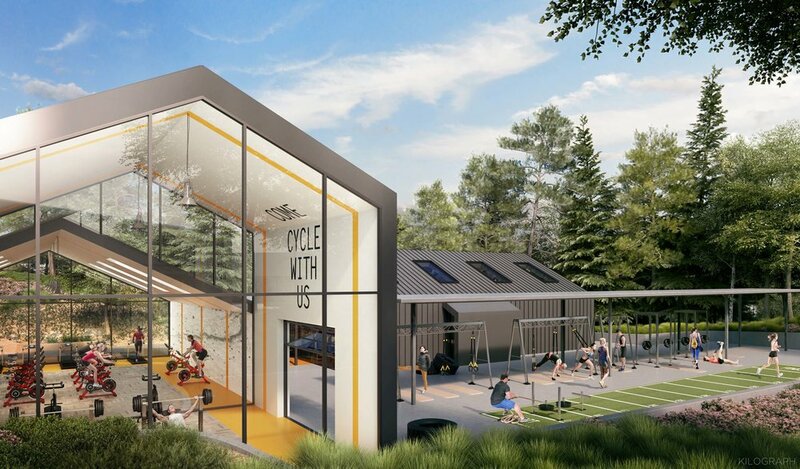 The center will offer an outdoor fitness component with TRX stations, sled courses and artificial turf. Take your exercise or leisure outdoors and enjoy the brand new basketball court, sand volleyball court and a multi-purpose sports field. Engage in athletic competition and camaraderie through intramural leagues for your workforce and neighbors at THE PARK. Escape the daily grind by grabbing an ice cold craft beer and small bites from renowned San Diego Beer company, Karl Strauss. Enjoy the ambiance and serenity of the koi pond and Japanese gardens. Explore how exposed ceilings, garage doors, and open space can change your office from a stale corporate environment to a diverse workplace with multiple collaborative outlets. The Park has received the highest possible connectivity rating in the country: WiredScore Platinum. San Diego’s only WiredScore Platinum building offers 6 different fiber providers and 9 different data providers directly adjacent to San Diego’s fiber loop. All carriers can provide tenants of The Park immediate, best in class data connectivity with significant amounts of spare bandwidth capacity. There is no better solution for companies who rely on top end performance from today’s modern technologies. Situate yourself in the hub of San Diego's business community.